Europe’s refugee crisis hasn’t gone away. While the grubby deal between the EU and Turkey has staunched inflows to Greece, many refugees are trapped there and various walls and barriers block the Balkan route, record numbers of people are taking the longer and more dangerous crossing from lawless Libya to Italy. 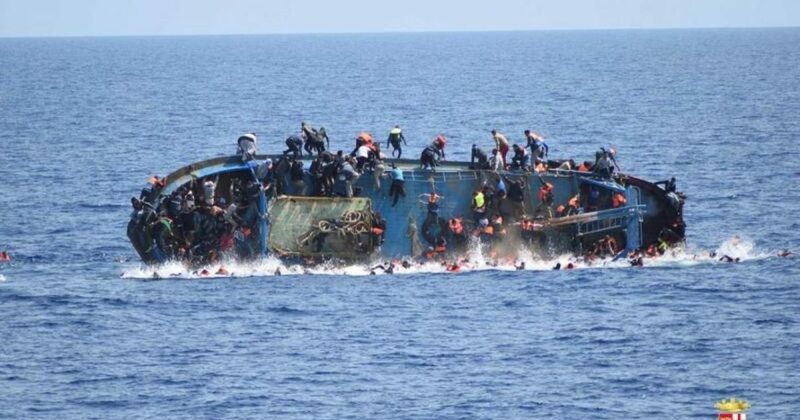 More than 2,000 people have died trying to cross the Mediterranean Sea so far this year, according to the IOM. Some 73,000 have reached Italy this year, up 14% on last year. And after 12,000 people arrived in Italy in the space of a few days this week, the Italian government threatened to stop allowing rescued migrants to disembark from non-governmental organisations’ boats. That would be illegal and put lives at risk. Italy is demanding more EU help in paying for and relocating the newcomers. Italy’s refugee crisis has wider ramifications. It adds to anti-EU feeling in a country with a feeble economy, high unemployment and bankrupt banks that faces elections by next May. The anti-establishment, anti-euro Five Star Movement, which is neck-and-neck in the polls with the ruling centre-left Democratic Party, is taking an increasingly anti-immigrant stance. That brings it closer to the far-right Northern League, a potential coalition partner. The use of up to €17 billion of public money to bail out the creditors of two Italian banks has added to popular anger. The EU has had lots of good news in recent months. The economy is a bit perkier. Brexit and Trump seem to have bolstered popular support for the EU. Emmanuel Macron trounced Marine Le Pen in the French presidential elections, won a parliamentary majority and is now seeking to reinvigorate the French economy and reform the dysfunctional eurozone. But there are no grounds for complacency. As it stands, Italy’s position in the eurozone is unsustainable, its politics precarious. The EU’s inadequate scheme for relocating refugees doesn’t work. Authoritarian nationalist governments in Hungary and Poland are trampling on liberal democracy and the rule of law. Greece remains trapped in a debtors’ prison. Many Europeans are still angry, fearful and pessimistic about the future. A car-crash Brexit would damage the EU-27 as well as Britain. And for all Macron’s energy and good intentions, fixing the eurozone is a daunting challenge. Europe still needs more dynamic economies, fairer societies, more open political systems and shared identities that are open to newcomers rather than dividing or excluding. The battle to defend and advance open liberal societies is far from won. OPEN’s mission is to defend and advance open liberal societies. If you read anything particularly good that is relevant to our work, please let us know by emailing info@opennetwork.net. And if you have something interesting and relevant to say and would like to write for our blog, please get in touch too. Thank you, and have a good weekend.